Finding a reliable storage solution that works for you and enables you to ensure your possessions are safe and secure can sometimes feel like a struggle. But our interstate removalist services also include a storage option, making it ideal for when you have possessions that you don’t have room for but want to keep safe and secure until you do at some point in the future. Whatever your reasons for needing to store your possessions, we’re here to help and can guarantee our services won’t disappoint you. Our aim is always to offer services that make the lives of our customers easier. We want to remove stress from your move and reduce the burden on your shoulders. Our storage services enable us to do this because you’ll be able to drop off what you want to keep in storage and we’ll take care of its security and safety from there. This means that you won’t have to worry about it any longer and you’ll be able to focus on the other things that are going on in life at the moment. To help you get a better idea of what we can do for you and why you should use our services, we’re going to talk more about the service below. We know that storage is about trust, so you need to know what we can do for you and why our service is so highly regarded before you choose to put your trust in us. So, read on now and find out why your storage service is the one you should choose. Our facilities are all of the highest standards, allowing you to put your trust in them as secure locations for your possessions for as long as you require our services. They’re professionally managed by a team of professionals who have the safety and security of your possessions as their number one priority. You won’t be let down. The storage facilities where your possessions will be kept are all modern and designed with security in mind. They use strong security systems to ensure only you will be able to access your possessions and that this security will never be compromised. We know this matters a lot to our customers and that’s why we take it so seriously too. We have a team of people that maintain security standards and keep everything running smoothly. This helps to ensure there are never any problems and if any issues do arise, there’s someone on hand to sort them out and get things back on track. This is what all customers have a right to expect from us when they pay for our storage services. 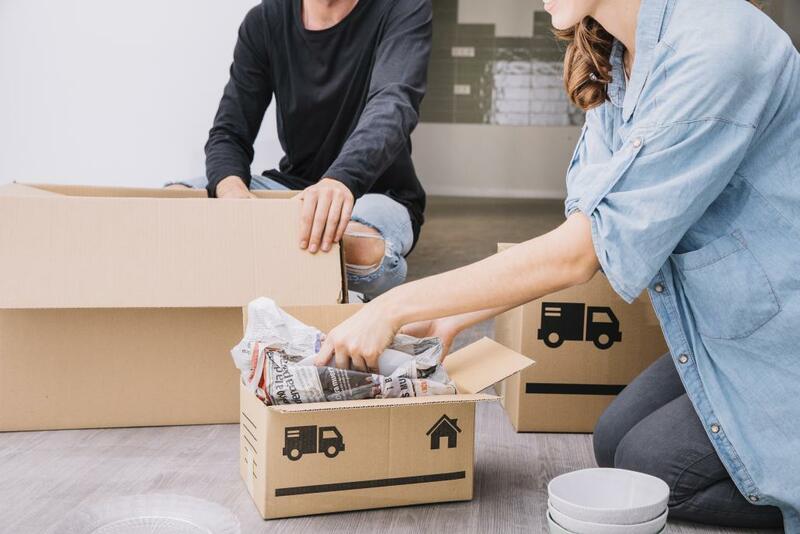 If you’re about to start the process of moving house, you might look at all your possessions and begin to feel a little daunted. Therefore, it might make sense for you to think about putting some of those possessions into a secure storage facility like ours. It’ll mean you have less to take with you when the moving day finally arrives. Our storage facilities are ideal for people who are moving. Not only will you have the chance to minimise the amount of stuff you have to take with you, but you’ll also be able to use our removalist service at the same time. It keeps everything under the same banner and reduces any confusion that might otherwise occur. You can keep the possessions in our storage facility for as long as you need to after the move. We know that some people need some time and space settling into their new home with their most essential possessions before they take on the task of finding new places for their other possessions. It’s in situations like that when storage becomes such a good option. When you make use of our storage services, you only ever pay for the time and space that you need. You won’t be forced to pay for longer usage times if you’re not planning on having your items in storage for that long and you won’t have to pay for huge storage spaces if you only need something small. We ensure the storage solution we offer you is suited to your needs. No one wants to be caught out by unreasonable charges and demands from a storage facility and you won’t have to deal with any of that if you choose to use our services. We pride ourselves on offering a service that’s fair, reasonable and honest. And it’s important to us that you only pay for what you’re using and benefitting from. It’s entirely up to you how long you want to use our storage facility for and how much space you need there. There are no minimum costs involved at all. A member of our team will be more than happy to discuss this with you if you have any questions or aren’t sure about anything. We’ll reassure you, give you the information you need and find you the storage solution that works for you. You can book our storage services at any time you like and begin to use it at a time that suits you. We aim to make our storage service as flexible as it possibly can be because we know this makes things easier for our customers. All you have to do is make a booking, which can be done online in a quick and easy way. From there, you will be able to start using the service whenever is right for you. This is key because it’s not always easy to predict when and why you might need to use a storage service like the one we offer. Instead of being restrictive about it, we make sure that we’re always here to help you when you need to take advantage of our services. The process couldn’t be simpler and we’re always at the other end of the phone waiting to help you if you need any further help or assistance with the booking you want to make, so it needn’t be daunting or complicated for you. The most important thing of all is the security offered by our storage services. We know that when you put your trust in us to look after your possessions, you want to know that the storage we offer is going to be secure and that you can rely on us. With plenty of experience in the field and a team of dedicated professionals, we’re very confident that you can rely on us. We take security very seriously and have many security systems and safeguards in place to ensure your possessions are always safe and never at risk of being lost or stolen. We’re always improving the safety and security of our facility as well, so you can most definitely rely on us to protect your items. The reliability of our brand is something we take pride in and we’re continually looking to improve so that every single customer has confidence in our ability to protect their possessions when they’re in our storage facility. Our customer service is one of the things that makes it possible for so many customers to gladly trust our services. We offer a storage service that’s very easy to access because of the simple way in which you can make a booking. There’s nothing complicated at all about making a booking or using our services after that booking has been made. We’ve streamlined the process to ensure it’s as easy for you as it can be. There’s never any need to break your budget when you use our storage services either. The services are affordable and tailored to your needs. There’s no minimum amount you have to pay so you don’t have to worry about getting tripped up by excessive charges that some other storage service providers might hit you with. The simplicity of our service is one of its major selling points. When you’re moving or simply moving things out of your house, you have enough to think about and focus on without having to worry about the storage solution too. By making things simple, we aim to make your life easier and generally more manageable. We have a storage solution that works for you, no matter what your specific needs are. We understand perfectly well that your needs are specific to you and that all of our customers are different. That’s why we offer a range of storage size options so that you never have to pay for a bigger storage space than the one you actually need. This enables you to tailor the service to your needs and keep your costs within your existing budget parameters. It’s all about making sure that the process is intuitive and simple. We don’t play games in order to extract money from our customers; we offer an up-front service and you’ll know what you’re getting from it. With a wide range of size options available, you’re in control of the service you use and that’s the way it should be. Of course, we do the important work of protecting your possessions while they’re stored in our facility, but you’ll be in control of how you want to use our services. It’s our company policy to take a customer focused approach to the services we offer. This includes the storage service we offer to our customers. It’s all about making sure the needs of the customer are met and each stage of the process is as hassle-free as it can possibly be. That’s why our customers are always satisfied with the services we provide. We know that the best way to create loyal customers is to go the extra mile for them and to make the services they use as strong and reliable as they possibly can be. Each customer is different, though, and this is something that we take into account, ensuring the service is tailored to their needs rather than offering a one-size-fits-all approach. If you have any specific requests or unique needs that you want us to accommodate, we’re always willing to listen to these requests and to help you in whatever way we can. This is all part of the customer focused approach we live by. You’ll feel the benefits of this approach when you use our services. We’ve put together a very friendly and helpful team of people who will be able to help you at every turn, no matter what your concern or problem is. They’re here to help you with whatever you need and they never shy away from a challenge when you’re in need of vital assistance. Each member of staff has been trained in how to deal with customers correctly and productively so that you’re always happy with the interactions you have with our team. They’ll be willing to go the extra mile for you because we know that these things are important to you and we always want to ensure the customer experience is the best it can be. All of the staff members we employ are approachable and easy to communicate with, so you’ll have no trouble at all getting the answers and the help you need when you use our services. They’re there to help at each stage of your customer experience and will always strive to improve that experience for you. One of the most important things that our services offer you is peace of mind. You want to be sure that when you use our storage services, your possessions will be completely safe with us. That’s why our aim is to provide you with real peace of mind. No one wants to be worrying about the safety of your possessions, and you won’t have to when you choose us. Because of all of the things mentioned above, you’ll be sure that everything you store in our storage facility will be safe and secure. There are no doubts about that, so your peace of mind will be secured. This is especially vital when you’re moving because it leaves you with one less thing to worry about and focus your attention on. You can then focus on the things in life that really demand your attention and things that are more important to you. All the while, your items in storage will be safe and secure for as long as you need them to be there. You won’t need to think about them until the time comes for you to take them out of storage. The service we offer is very open and honest, and this is something that you’ll notice for yourself when you start using our services. We pride ourselves on offering that kind of service because not all companies in the storage industry do offer that kind of honest, open and communicative service. We aim to change that. It’s much easier for customers to trust in the services they’re using when those companies providing the services are honest and open. You’ll be able to make the most of these services in the knowledge that you’ll be supported and helped by honest people with your interests at heart. There are no hidden charges or fees that aim to trip you up later on in the service process. It’s important for us to be open with how much you will pay for the service and exactly what you’ll receive in return. We’re so confident in the services we offer than we’re happy to offer you a 100% guarantee that you’ll be satisfied with what we offer you in terms of our service. Nothing matters more than the satisfaction of our customers so we plan ahead to ensure things go according to plan for you. We always find a way to keep customers fully satisfied. You’ll find that the service we offer is about your needs and about the outcomes you experience after paying to use our storage services. If you’re not satisfied, we’ll take action to ensure things change or you’re refunded. We take our commitment to our customers’ satisfaction very seriously indeed and you can trust this guarantee we offer. If you’re in need of a reliable, professional and easy to access storage service, we’re here to help you. Don’t hesitate to get in touch if you have any questions to ask or you want to find out more about the specifics of our storage service. Simply fill out the contact form on the Contact page of our website. Alternatively, you can call on 1800 218 344 or email sales@interstateremovalists.sydney. We’ll help you out in no time to ensure you can make the most of our services.